Guru Arjan Dev Ji (1563-1606) was in his teens when he was installed as Guru. He developed Amritsar as a centre of industry and culture for the Sikhs. He requested Mian Mir – a Sufi Muslim divine who believed and followed the Guru – to lay the foundation stone of the Har Mandar (Temple of God). The temple was built on a level lower than the surrounding land, in the middle of a beautiful lake. This is now known as the Golden Temple. In order to put the township on a sound basis, the Guru helped the establishment of new trades and professions. Some of these trades were banking, embroidery, carpentry and horse trading. Amritsar was centrally situated and there was enough scope for commercial relations with neighbouring countries. The Sikhs were sent to Afghanistan and Central Asia for buying good horses. The trade in horses gave Sikhs a taste for riding and horsemanship. Guru Arjan Dev Ji felt the need for the revelations of the Guru to be recorded in Word for the Sikhs. He collected the revealed sacred hymns of the first four Gurus and of the Bhagats and Bhatts. He dictated the sacred hymns including his own to Bhai Gurdas and completed the compilation of the “Aad Granth” the first Scripture in 1604. Guru Arjan Dev Ji was a man of people and wielded great influence. His growing power and prestige aroused the jealousy of Emperor Jahangir. 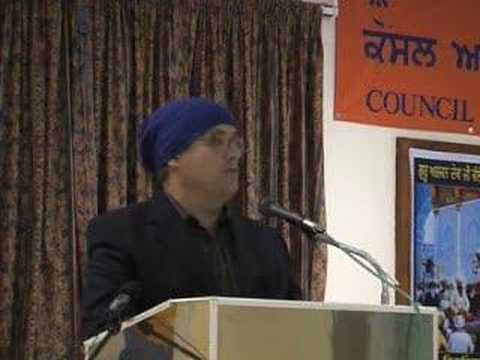 Hindus were becoming Sikhs in large numbers. Even Muslims came to the Har Mandar and were adopting the Sikh religion. Jahangir resolved, to use his own words, “to put an end to this traffic.” He asked Guru Arjan to change the text part of his Granth to include the praises of prophet Mohammed. The Guru refused to do so. In the meantime, Chandu – the Diwan – who bore a grudge against the Guru – poisoned the mind of Jahangir with all sorts of false stories. Jahangir placed Guru Arjan in the charge of Chandu. The latter perpetrated tortures for 5 days during the extremely hot month of June. The tortures included no food or water, pouring boiling water on the Guru and throwing burning sand on him. Guru Arjan Dev Ji bore all these tortures with great resignation. After nominating his son Sri Har Gobind Ji as his successor, the Guru was taken to the river bank. His body was then thrown into the river as a final torture. He is the first Guru martyr in Sikh history. « What do you know of Guru Har Gobind Ji? WHAT A BEAUTIFUL MESSAGE OF PEACE in first video! and deffinetely Sri Guru Arjan Dev started this PEACEFUL Message with that powerful word= Forgiveness. He really was and is a Saint!!! Iam not born in a Sikh family or religion yet I feel very peaceful whenever i listen to Kirtan Gurbani. I love it. Last october by coincidence a most beautiful Poem-Salm came to my hands i was eager to look and find out who could have writte such a beautiful poem and I found out it was written by Sri Guru Arjan Dev , I had to cry, i had to smile i had a peaceful feeling all at the same time and also I wanted to run directly into a Sikh Tempel so i did and i went to a Gurdwara in my city, hier i got my first JapJi in wich iam in extasse and spend hours reading it and studying it. and in Gurdwara i also got this site frm some nice Singhs. I think Sikh religion is really so valuable for this world and to me the best way of conceiving God . 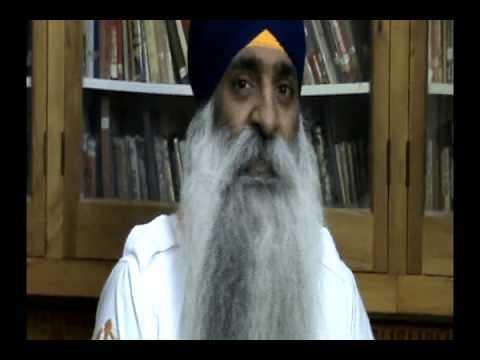 whenever i se,hear messages like those of Guru Arjan Dev or like this new message like in this video .Ther is no doubt that the Sikhs (the true one’s) are really an example of how spirituality would must be conducted! May God bless you for sending peaceful messages to the world! thats what we need. You really are an example for me and I feel bless i got to met you.